"How did you come up with the character of Jeff Pickles? I took him off Mister Rogers. He never got angry. He was very even-keeled. And I kept thinking, "What would happen the first time [someone like him] did get angry? Was it all bottled up inside?" I worked on this script for 8 years. I didn't know how to pitch it. People would hear it as something it was not: "A comedy about grief?" Or: "You're making fun of 'Sesame Street.' "I had to sort of sell it to [director] Michel [Gondry] and Jim. Once you get people like that to say, 'OK, you're weird,' then Showtime was happy to have us try it. Did Jim Carrey know you were writing this show for him? No way. My agent thought I was crazy. I was sick of writing scripts with the goal to sell them. I thought, "When is the last time I watched a show that I cared about?" After all the antiheroes we've seen on TV, I think we're going to want someone who's not trying to break bad but trying to stay good in a cruel world. Why is he perfect for this role? He's like Mister Rogers. There's nostalgia associated with him. There's joy when you think about your experience with that person. Why did you decide to make the children's show on "Kidding" a family business, with Jeff's father and sister involved? I really wanted to give Jeff two things that couldn't coexist. Two wants that could not coexist. He wants his family back and the TV show. 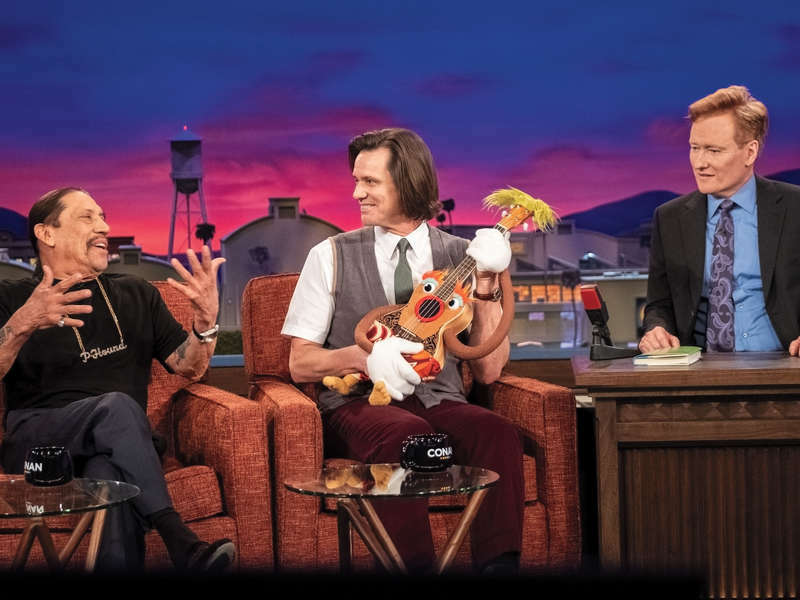 The kids' show on "Kidding" serves as more than a convenient backdrop to the larger story. Who helped you put that together? We actually created a real children's series. We have Joey Mazzarino, a former head writer from "Sesame Street," who is a story editor for us. He helps us with all the mythology behind the Mr. Pickles show. I said, "Why don't you come on our writing staff and come up with the world of Pickleville Falls? And make a show within a television show." We are very glad Dave wrote this show because we are loving watching it every week. -- Source: New York Post. Click to comment this article.